Stuart Mitchell and I met online in 2006, synchronicities linking our research. The journey of humanity is the quest to find its origins encoded in our DNA, art, music, and an architectural blueprint that holds the harmonic key to our creation. Reality is a consciousness hologram (set of simulations) through which we vicariously experience emotions. In 2007, Stuart's CD and book, "The Rosslyn Motet", were complete and hit the world by storm as researchers hope to unlock ancient secrets through music. 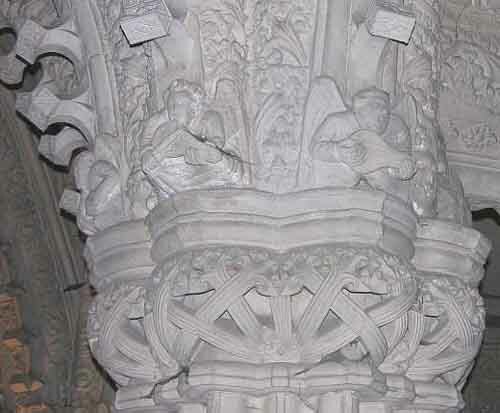 Stuart Mitchell discovered a series of figures which he calls an "orchestra of angels" at the base of elaborate arches round the altar, with each angel holding a musical instrument. He worked with his father, Thomas, to decipher the patterns on cubes which jut out from the arches. Father and son team discover the Holy Grail of music hidden away for 600 years on the columns of Rosslyn Chapel. A father and son code breaking team have discovered music's Holy Grail - hidden in intricate carvings at Rosslyn Chapel for almost 600 years. Music teacher Thomas Mitchell, 75, strived for 27 years before he and pianist son Stuart, 41, deciphered symbols in the chapel which featured in the Da Vinci Code book and film. The pair will reveal the secret songs in a special concert at the Midlothian chapel next month. Thomas, of Edinburgh, said: "The music is the result of years of painstaking research, recreating secret notes hidden for almost 600 years in carvings on the arches within the chapel itself. "We believe this is the Holy Grail of music and, unlike the Da Vinci Code, it is absolutely factual." Thomas was intrigued by the sculpted angels and hundreds of intricately carved cubes in the arches of the Lady Chapel. Using skills learned as an RAF code-breaker during the Korean War and his lifetime knowledge of classical music, he finally realized they depicted the vibrations of musical notes. He said: "It was a Eureka moment to end all Eureka moments. "Many angels were carrying musical instruments and some were even grouped as if they were a choir. "But one angel gave me the biggest problem. He was carrying something and at first I thought it was musical instrument which had been lost in the mists of time. "It was only when I realized that he was carrying a musical stave, the blueprint for all musical composition, that I knew I was looking at a secretly coded piece of music. "By recreating the patterns on each of the carved cubes, with Stuart's help, we unlocked the notes to find a haunting piece of music had been hidden in the arches for centuries. "For the choral sections, we've used the words from the hymns to St John the Baptist taken from Matthew in the Old Testament which is fitting because the chapel itself is dedicated to St Matthew." 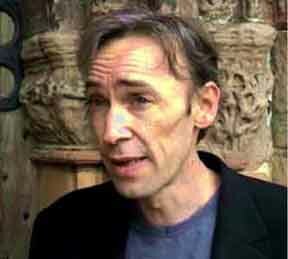 Stuart, a classical composer and pianist, used computers to decipher the carvings' secret music. He has named the medieval music the Rosslyn Motet. He said: "I also used authentic mediaeval instruments to recreate the music exactly and it truly is a masterpiece. "While the Da Vinci Code was full of red herrings to make it a thrilling work of fiction, the Rosslyn Motet music is a tangible work people can listen to. For centuries, scholars have been convinced Rosslyn holds the key to many different areas of knowledge. "We think we've cracked one particularly fascinating code, although we're convinced Rosslyn holds many, many more." Four singers will join eight musicians playing mediaeval instruments to perform the Rosslyn Motet at Rosslyn on May 18. Simon Beattie, of the Rosslyn Chapel Trust, said: "We're looking forward to the event as this is a such an exciting and intriguing piece of work. "The music is particularly haunting and we cannot help feel this is yet another of the many puzzles that make Rosslyn such an astonishing place." 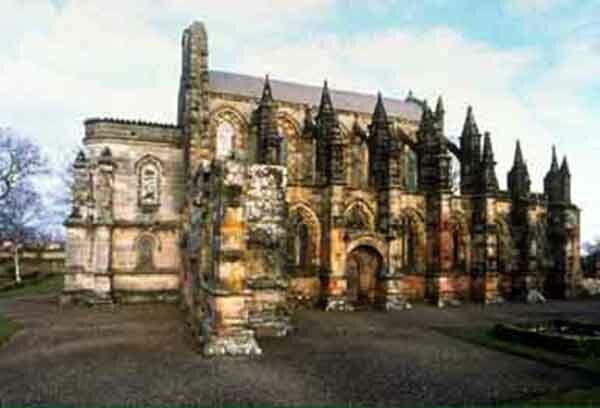 Rosslyn Chapel was built by Sir William Sinclair and Sir Gilbert Haye in the 15th century. Steeped in the history of the Knights Templar and Freemasonry, RoslynÕs mysteries are famous worldwide. Among the theories surrounding Rosslyn is that it is the secret resting place of the Holy Grail, the Ark of the Covenant and even the mummified head of Christ. 1. Carved angels and blocks above their head in arches of chapel baffled Thomas until he realized this one was holding a musical stave - and that the blocks signified notes. 2. 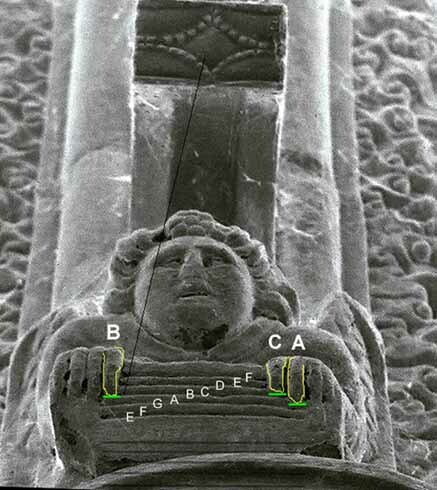 Using this specially enhanced photo, Thomas and Stuart worked out that the carvings above the angel represent A, B and C.
3. Thomas and Stuart used this metal plate to recreate the ancient method of making notes. The plate is vibrated and sand poured on until it forms a particular pattern - indicating the correct pitch. 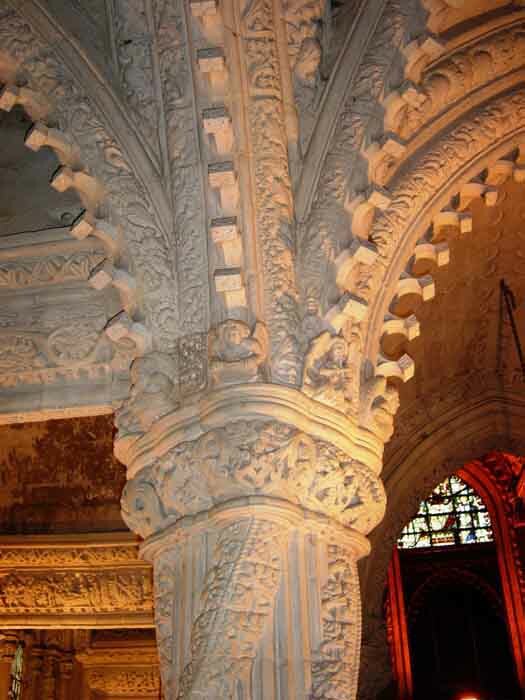 The patterns match those carved into the arches of Rosslyn Chapel. Stuart and I discussed the 213 cubes on the ceiling and the Apprentice Pillar, at the top of which we find the stave angels, and at the bottom an Ouroboros which takes us to 2012 and coming full circle into the light. Gilbert Hay (fl.1432-1456) or Sir Gilbert the Haye, Scottish poet and translator, was perhaps a kinsman of the house of Errol. If he is the student named in the registers of the university of St Andrews in 1418-1419, his birth may be fixed about 1403. He was in France in 1432, perhaps some years earlier, for a "Gilbert de la Haye" is mentioned as present at Reims, in July 1430, at the coronation of Charles VII. He has left it on record, in the Prologue to his Buke of the Law of Arrays, that he was "chaumerlayn umquhyle to the maist worthy King Charles of France." In 1456 he was back in Scotland, in the service of the chancellor, William, Earl of Orkney and Caithness, "in his castell of Roselyn," south of Edinburgh. The date of his death is unknown. The second of these precedes Caxton's independent translation by at least ten years. For the Bulk of Alexander see Albert Herrmann's The Taymouth Castle Manuscript of Sir Gilbert hays Buik, etc. (Berlin, 1898). The complete Abbotsford Manuscript has been reprinted by the Scottish Text Society (d. JH Stevenson). The first volume, containing The Buke of the Law of Arms, appeared in 1901. The Order of Knighthood was printed by David Laing for the Abbotsford Club (1847). See also SFS edition Introduction and Gregory Smith's Specimens of Middle Scots, In which annotated extracts are given from the Abbotstord Manuscript, the oldest known example of literary Scots prose. 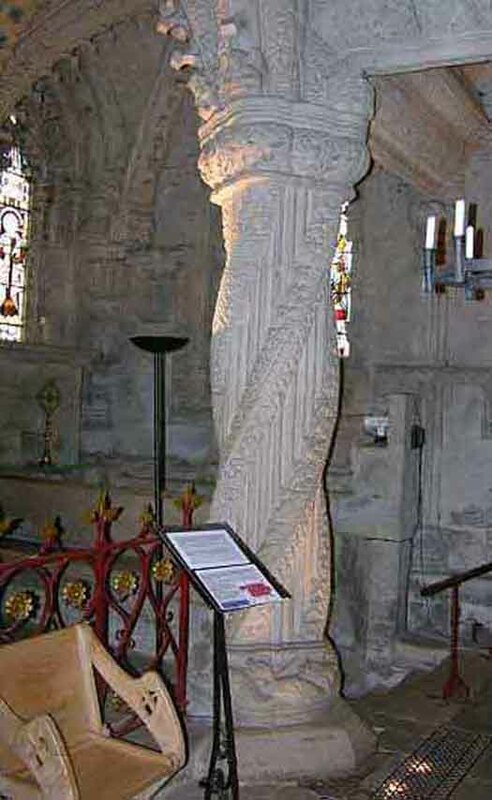 The serpents round the bottom of The Apprentice Pillar looks Chinese to me, which might also explain a lot about Gilbert Hay's trip to China and his interest in vibrational harmonics. 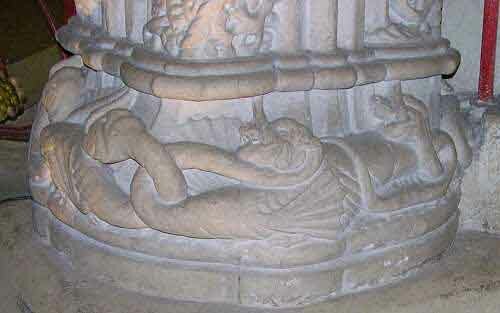 A serpent swallowing its tail, sounds like the Rings of Saturn. There were originally 215. Two of them have been broken off and lost in the past 500 years with no apparent explanation of why or how from Rosslyn. 215 does not make a significant number but 216 would. 216 as you know Ellie is a cosmologically important number. We know that Earth's polar circumference is 21,600 nautical miles, or 'minutes of latitude' arc. It is also interesting that "our" math conventions use 21,600 arc-minutes as the circumference of 'any' circle or sphere. One of the most ancient and most celebrated sacred places of our planet is the temple of Lord Shiva Nataraja in the South Indian City of Chidambaram. Here Lord Shiva dances his dance of creation and dissolution. The Dance of Cosmos. The hereditary priesthood which have been the guardians of the Lord and his temple since the time of its origins follow the Vedic pattern of ritual worship. The sanctum in which the Lord is performing his Cosmic Dance is called the Cit Sabha, the Hall of Consciousness. It is a wooden structure, which differs in its shape form all other sanctums found in Indian temples. And its corbeled shaped roof has been covered with golden tiles from the time of its consecration. It consists of 21600 tiles, representing the human breaths, and these are held together by 720,00 nails, representing the Nadis of the human energy body. My suggestion is that there should be 216 cubes/rectangles on the ceiling of Rosslyn (counting the 2 that are missing) because putting all the cubes together into one BIG cube would give us 216. Also a pattern will emerge when the correct sequence of smaller patterns are merged together. The final note of the music maybe ?! 216 is also 6x6x6 and many other connotations. 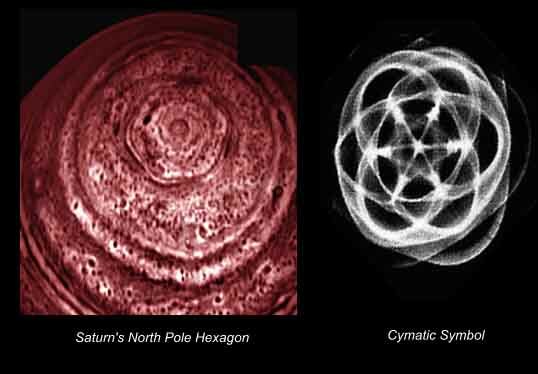 those emanating from Saturn's North Pole hexagon? Cassini discovers music of the rings Cassini Huygens - November 2004 -- "Saturn's magnificent ring system, a huge disc resembling an old gramophone record, turns out to share another property with the LP: it constantly emits a melodic series of musical notes. The surprising discovery was made by radio and plasma wave detectors on board the Cassini spacecraft as it passed over Saturn's rings during its arrival at the planet in July." The mysterious cube symbols on the 15th century walls and the 15,000 mile hexagon photographed above Saturn. As if there were not enough mysteries involving the medieval chapel that featured in "The Da Vinci Code", the plot thickened further yesterday. 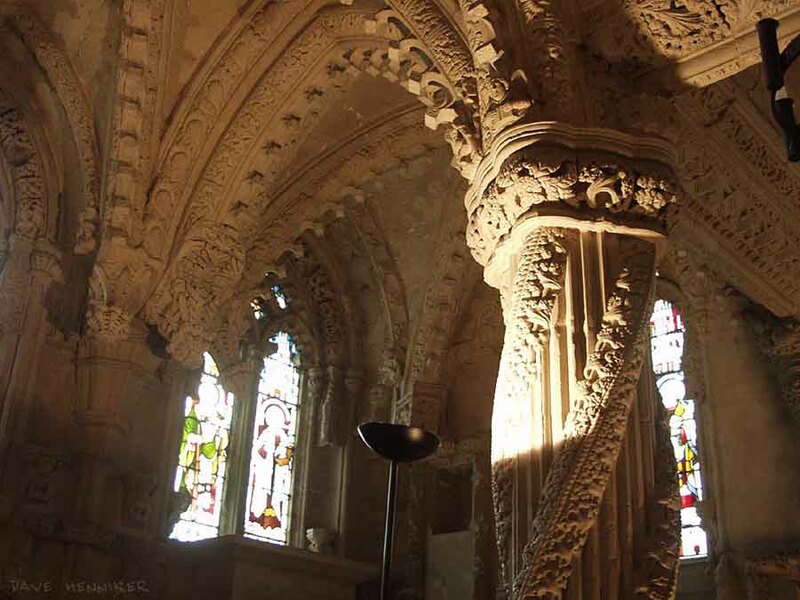 Rosslyn Chapel has, at one time or another, been suggested as the resting place of the Holy Grail, the Ark of the Covenant and even the mummified head of Christ. Now cosmology has been added to this rich brew after the ornate symbols on its walls were likened to giant cloud formations photographed on Saturn. 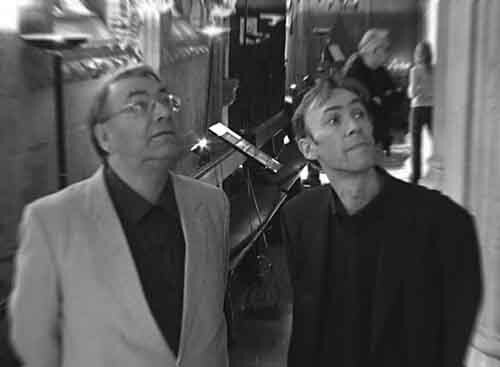 The link was made by Stuart Mitchell, 41, a composer, who with his father Thomas, 75, a former RAF code breaker, deciphered a musical score they believe was hidden in the 13 angel musicians and 213 cube-like shapes carved on the chapel arches. After 27 years of research they cracked their code and, at the weekend, they staged Rosslyn Motet, is based on the deciphering of cube and hexagon-shaped symbols using an ancient musical system called cymatics, in which patterns are formed by sound waves at specific pitches. The shapes appear when a note is used to vibrate a sheet of metal, or a sheet of glass covered in powder. Different frequencies produce patterns such as flowers, diamonds and hexagons. The hexagon features prominently in the chapel carvings. Mr. Mitchell and his father believe the tune was encrypted in the 15th century chapel outside Edinburgh because knowledge of music may have been considered heretical at the time. Earlier this week, Mr Mitchell was preparing for the first performance when a Mexican astronomer telephoned him and told about the same hexagonal shape on Saturn. The coincidence suggests a universal significance for the musical score, according to Mr Mitchell, even if the hexagon above Saturn is 15,000 miles across while the carvings are measured in inches. In musical terms, both shapes represent a B natural, suggesting to some that the planets may have their own musical score to be cracked. "The shape matches right down to the detail," said Mr Mitchell. "The shape represents the B natural pattern in our code, and that is the first note of the Rosslyn Motet. "Now we are starting to see that these symbols that everybody found so magical and unique are around us in a vast way. What we are seeing on our plane of existence we can now also see on a cosmic scale. It is one of the most amazing developments in this story. 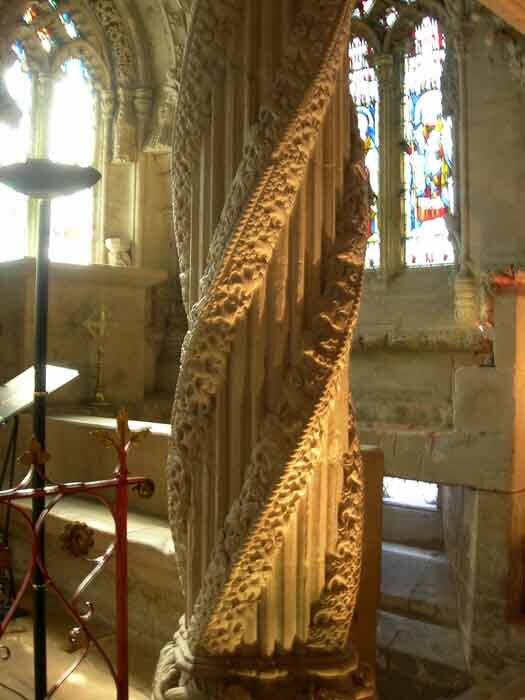 "If the geometric figure in Rosslyn Chapel is produced by the same principles as is happening on Saturn - vibration and sound - then Saturn is literally singing a piece of music to us." Mr Mitchell said that the shape on Saturn was like a humpback whale singing in the darkness of space. He added: "I find it propitious that the sudden interest in the Saturn Hex phenomenon should be at a time when my father and I have realized a composition we believe was 'set in stone' using this same science." The hexagon above Saturn was detected 26 years ago, but was captured in its complete form for the first time earlier this year by Nasa's Cassini Orbiter. A spokesman at the space agency said at the time that it was a "very strange feature". Since it featured in The Da Vinci Code, by Dan Brown, visitor numbers at the chapel have rocketed. Stargazers may now be about to join those throngs of religious conspiracy theorists.